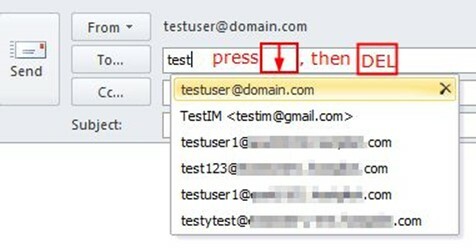 Outlook maintains a “nickname” list that is used by both the automatic name checking and the AutoCompletion features. The nickname list is automatically compiled as you address email messages. 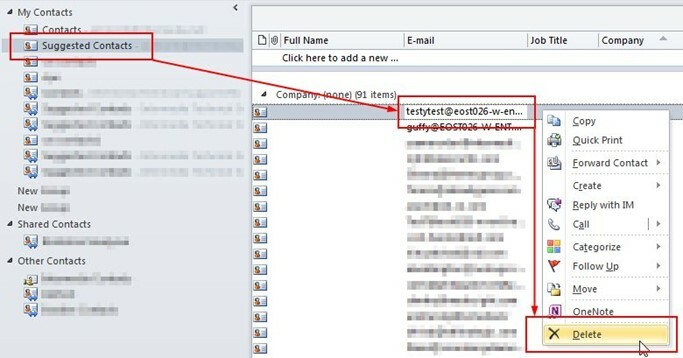 If the nickname cache becomes corrupt, Outlook may not be able to identify recipients, may offer incorrect recipients, may send to an incorrect or old email address, or may send the message to the wrong person. Please be aware that this may remove some or all of your suggested contacts. I would recommend that if there are contacts in the autocorrect list that you wish to save please save the email addresses to your contacts. Add extra details, if required and Save the email address. Outlook 2002/2003/2007: Click New > Mail Message. Note: In a clean Outlook 2013 installation, Suggested Contacts folder is no longer available, the folder never is created, and no suggested contact items are created. 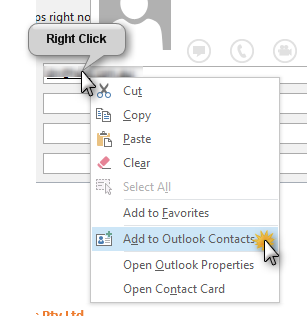 In an upgrade to Outlook 2013, this folder is visible, and participates in linking, aggregation and search. However, no new suggested contact items are added to the folder. The folder displays in an upgrade scenario, but can be deleted. Outlook 2002/2003 and 2007 store this cache in a local, profile-specific file with the extension .nk2. To reset the Outlook nickname cache, use the following steps that are appropriate for your version of Microsoft Windows. After you restart Outlook, Outlook generates a new nickname cache.